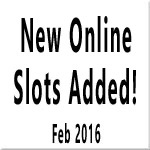 Three New Online Slots just added at Rich Casino! We are excited to announce the launch of three new online slots at Rich Casino! The three new slot games are provided by Pragmatic Play. The games include Mighty Kong, The Catfather and Lady Godiva. The three new online slots at Rich Casino are available on both desktop and mobile devices, with DEMO PLAY for the curious ones! Also, all new games can be played with bonus cash, so try them out right now! Players who sign up at Rich Casino here will receive a Free $25 Bonus which they can use to play the brand new online slots games; Mighty Kong, The Catfather and Lady Godiva. Players at Rich Casino will enjoy Free Spin bonus rounds and high quality animations with bonus cash while playing the new games! Mighty Kong is dishing out the ultimate cash in this brand new 50 line slots game at Rich Casino. Mighty Kong brings the classic motion picture to life and players can take advantage of Wild Symbols, Scatter symbols and more. Start the journey in the Free Spins round, where players can claim up to 40 Free spins, plus an 8X multiplier. The new Catfather video slots game at Rich Casino is calling all cat lovers to get curious for cash! Dive into the action and help tame the crazy kitten from bouncing off the walls, this game is fast, fun and designed with 9 lines. Wild symbols animate by stacking on top of each other and the superstitious black cat climbs up the reels to reveal the rewards. All free spin wins are multiplied 4X and during the ‘Wild night’ round, the wild symbols fully expand horizontally on any combination of reels 1, 2 and 3! Hop on the high horse and re-live the 13th century adventure of Lady Godiva in the brand new Lady Godiva online slots game! Packed with 20 lines and a variety of winning combos, player will love the real-life animations and free spin round. When the free spin round is activated, players face the challenge to pick 1 of 4 options for the chance to boost their winnings! Rich Casino is your all-in-one casino that offers you quality online entertainment along with fun games and exclusive offers. Aside from our unrivaled welcome bonus and rewarding gameplays, we give you updated promotions, daily offers and fresh excitement that will always make you stick around. You’ll also benefit from live help 24/7, which means that our support team is always ready to answer all of your questions. Pragmatic Play is a provider of mobile and desktop digital casino games for the online gaming industry. Our passion is unrivalled as we thrive to create a gaming experience that is engaging and stirs thrills that gamers seek. Containing unique in-house content of over 150 slot games for mobile and desktop, developed in our studios, the Pragmatic Play games library is defined by our mantra of innovation and dedication to shape the online gaming industry.